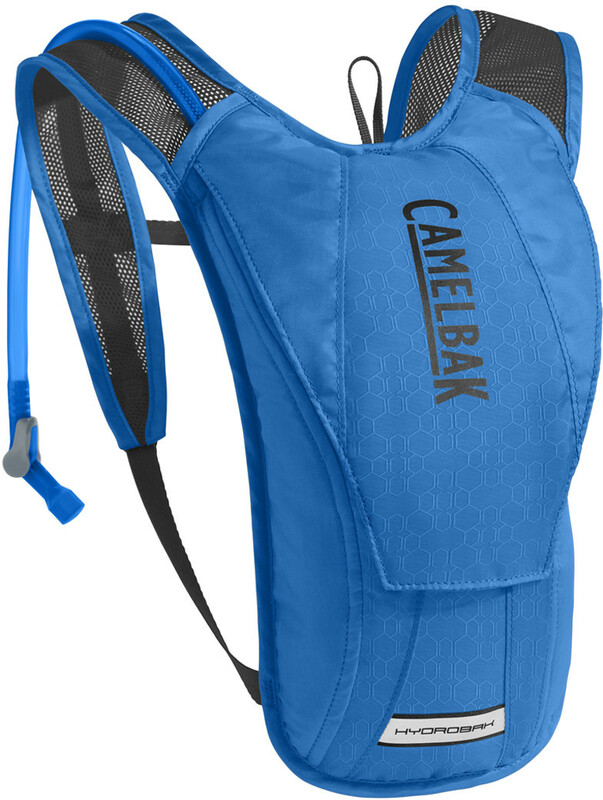 CamelBak: When all you want is water, this minimalist bike pack has you covered—enough water for a 2-hour ride, and a safe zip pocket for keys and essentials. The new Crux™ reservoir also offers 20% more water per sip for faster hydration in the saddle. PACK ONLY WEIGHT: 150g / 0lb 5oz TORSO FIT RANGE: 38 - 53cm / 15 - 21in FABRIC: 200D Polyester Plain Weave FEATURES: • The brand new Crux delivers 20% more water per sip, with an ergonomic handle for easier refilling, and an on/off lever that makes it easy to prevent leaks. • Breathable air mesh back panel for a lightweight, comfortable fit. • Reflective accents for visibility in low-light environments. • Secure zippered pocket for essentials. • Lightweight, ventilated mesh harness. • External reservoir fill lets you refill your reservoir without removing it from the pack.